An important slice of Melbourne history will be given a second life as restorative works are set to commence on one of the city’s most significant bluestone heritage-listed walls. 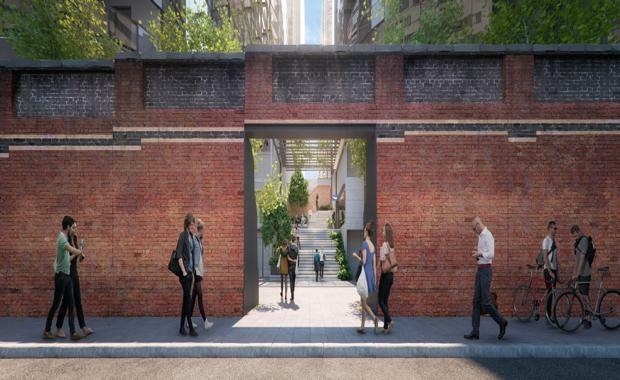 The 174-metre heritage retaining wall on Flinders Street, originally constructed in 1890 by Victorian Railways, will be restored by Lendlease who obtained Heritage Victoria's approval in 2016. The restoration work on the wall is an effort to preserve its long-term future in a new urban context as Lendlease begin construction on the 2.5 hectare Melbourne Quarter neighbourhood. 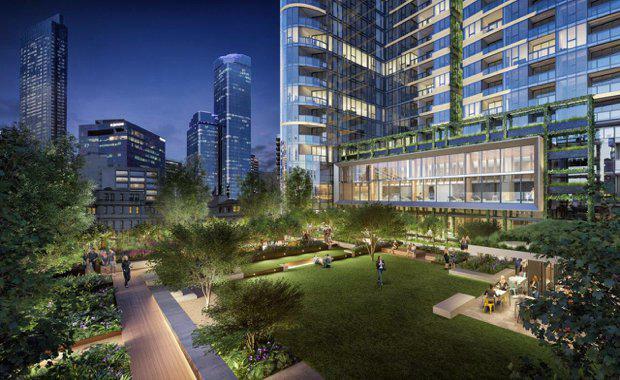 Lendlease Managing Director for Urban Regeneration Mark Menhinnitt said Lendlease is proud to be preserving an important part of Melbourne’s past for Melbourne’s future generations to appreciate. “The retaining wall will be restored and seamlessly integrated into Melbourne Quarter as part of a new grand porte cochere arrival experience on Flinders Street," he said. Melbourne Quarter“This hotel-style entrance will give apartments their own distinct identity and offer residents concierge services. 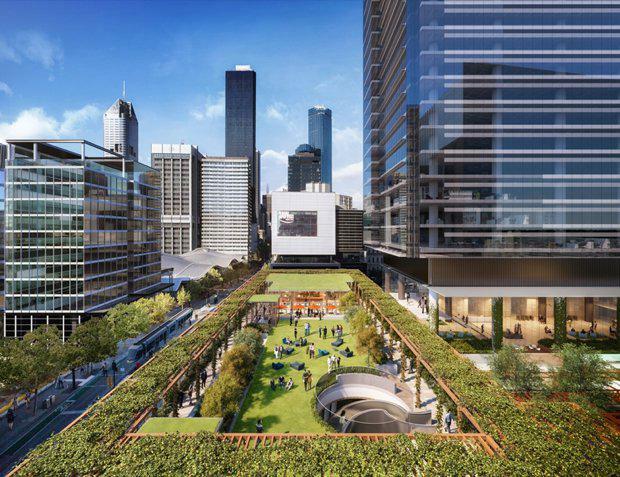 It will also form part of a new public pedestrian connection from Melbourne Quarter to the CBD’s Spencer Street. The heritage wall has been regarded as one of the sites most closely linked with the foundation of Melbourne, and marks the original location of Batman’s Hill where city founder John Batman built his home in 1835. It was built to retain Batman’s Hill as Flinders Street was extended to create access from the CBD to the newly created Victoria Dock. The site is also linked to the city’s former railyards and structures. Melbourne QuarterBefore the Second World War, the wall was a place where workers would congregate in the hope of receiving a day’s work at the docks. Soon, the public will gather to linger in the precinct’s public spaces, retail outlets and laneways. The restoration will be lead by designs informed by leading heritage experts Lovell Chen, the precinct’s residential architects Fender Katsalidis and landscape architects Aspect Oculus. New openings through the wall will give the public access to the precinct’s new plaza and retail laneway, which will connect Collins and Flinders Street. According to the designers, bluestone components will become publicly visible as part of these works for the first time. By uncovering these bluestone elements, the wall will take on a new dimensional experience and will allow for a greater understanding of the wall’s design, construction and original retaining purpose.